One such decision companies confront is the question of utilizing the freight spot market or negotiating the freight contract pricing market for their freight and logistics strategy. Both freight spot and contract rates offer shippers a different value proposition, with contract providing the year-long security of price and capacity, while spot is there to assist shippers when their contract carriers are not enough or there is a special need to move freight on a lane a contract price has yet to be negotiated. Understanding when to employ each will provide the best road to success. Some believe the spot rate market is a place to save money, but we’ll get to that idea shortly but until then let’s jump into the discussion on contract and spot freight rates. A spot freight rate is the price a freight service provider offers a shipper at a point in time to move their product from point A to point B. A contract rate is the rate a motor carrier, freight broker or logistics service provider (LSP) agrees to use when moving a shipper’s freight for a set lane and its freight characteristics over a set period of time. 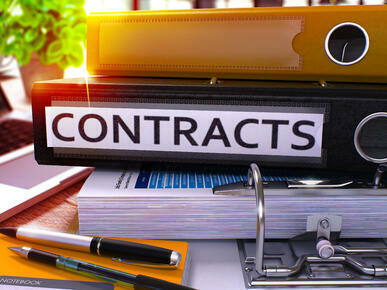 In most cases, contract rates are set for a one year period. Spot freight rates are based on the market conditions at the time and at times are so dynamic that they change from hour-to-hour. The spot rate is a leading indicator of the direction of contract rates, but not an absolute indicator of contract rates that are available at the time. Freight and logistics work has many tie-ins to various economic concepts. It is a key leading indicator of the direction of a country’s economic growth or contraction, and as you will find, is the basis for spot freight rates. Spot rates are market driven by the most fundamental economic concept: the law of supply and demand. Under this concept, as demand goes up on a constant of supply the economic value of the commodity will rise, and in times when the demand goes down there is the opposite effect. Freight is more complex than just a simple demand slide up and down the supply curve because on any given day the supply of freight equipment in a given freight lane can also increase or decrease causing not only a slide on the demand curve, but also a shift in supply. Another way to put it is under the law of supply and demand, price is determined by the interaction of supply and demand: an increase in supply will lower prices if not accompanied by increased demand, and an increase in demand will raise prices unless accompanied by increased supply. It concludes that in a competitive market, the unit price for particular goods or services, will vary until it settles at a point where the quantity demanded will equal the quantity supplied, resulting in economic equilibrium for price and quantity transacted. How does this relate to rates and pricing in the transportation business? Spot rates are defined as the price quoted for immediate settlement on a commodity, or in our case a service. The spot rate is based on the value of an asset (equipment) at the moment of settlement, which is just a fancy way of saying pricing is based on whether there is an excess or shortage of equipment in the market and lane at a set point in time. The dynamics of any freight lane within any given day is what causes the rates to swing dramatically from hour-to-hour, day-to-day, week-to-week, etc., etc, etc. This dynamic can be tracked on a macro basis through several freight load boards or through other industry channels, which give shippers some inclination as to what is happening in the market. 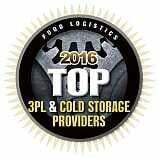 Motor freight carriers, freight brokers and LSP’s have their pulse the overall market, but specific lanes also. Paid Data: Rates, direction, tender acceptance & decline and a bunch more stats to understand the direction of the freight market both current and historical. FreightWaves has taken further steps to also offer freight futures contracts by using the multitudes of data they collect within their system. Free Data: Overall weekly direction of the truckload spot rate market. Paid: Individual spot rates for various freight lanes both current and historical. 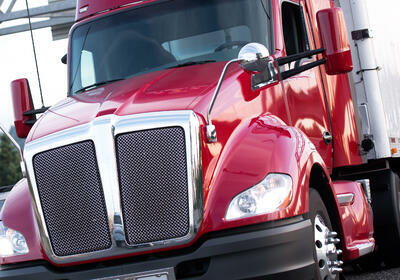 Free Data: Overall monthly direction of truckload and intermodal contract and spot rates. Besides helping medium to large shippers cover freight when their routing guide of contract carriers fails to meet the demands for the day, the freight spot market fits specific needs for smaller shippers that do not have enough volume to obtain yearly pricing contracts. By aligning with an LSP, smaller shippers do have other options because the LSP can align and consolidate these smaller shipper volumes with its other customers to produce value pricing options to hold yearly pricing. This is a good place to discuss the thought brought up early in the article, which is the belief spot market freight prices save companies money. This belief is so ingrained in some organizations that their internal process requires them to quote a minimum of three providers to assure they have the best rate. The long-and-short of it is companies are far better off to have their freight ride on contracted rates than spot rates. As the above chart indicates of the weekly spot, which can be found updated every Wednesday at https://blog.intekfreight-logistics.com, there is no consistency in the rate to allow a company to manage its business. It also indicates that over 2017 and 2018 a company would have been crushed if utilizing spot rate pricing alone, as the spot rates increased 60% over a twelve month period. No company can withstand that type of economic hit to their bottom line. Add to the incredible rise in spot rates, the dramatic increase in the market indicates because of the law of supply and demand forces at work that the ability to obtain 53’ intermodal capacity was difficult causing significant opportunity for service failures. If you are still of the belief that spot rates will save your company money, think about the economics of a home purchase. Are you better off to buy something when it is needed and the salesperson has you over a barrel, or are you better off to buy when something is on sale and it can be negotiated? Over the long-term a shipper will pay a much higher spot rate than if they had chosen contract rates. The shipper is constantly tied to capacity decisions driven by the lack of a long-term service agreements. Many freight companies shy away from the spot market because of the risks of hitting unknown docks, thus limiting a company's options on accessing freight capacity. Hidden operational execution costs of time and money are incurred when having to spot a lane over 3 to 5 carriers for every shipment and having to establish a short-term relationship to move the freight. Inherently risky relationships, as service agreements are typically not well managed on insurance, safety and financial fronts in a spot freight rate transaction. Difficult for the finance team to plan and hold budgets based on the variability that is inherent to spot rates. Additionally, fixed contract rates open up negotiations on fuel and accessorials that are otherwise fixed in the spot market, as freight providers will give an all-in rate for their spot rate proposals. 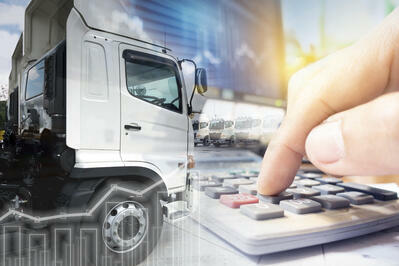 Unknown market conditions can drive a company's freight budget into significant cost over-runs. Spot relationships lack accountability, as the carriers used within a given freight lane will be fluid with each shipment. Difficult to manage requirements and measure performance against KPI's to drive improvement when the carrier base is fluid. Contract freight rates are the optimal method of managing a company’s logistics and supply chain program for the best price and service because it locks in price and has with it some expectations on a very high level of regular service volumes. The key phrase in the above is “some expectations of regular service”, which is often missed by many new to the logistics and supply chain industry. The reason for adding this caveat to the above definition of contract rates is some companies have put logistics purchases in their procurement department. A professional buyer is not used to the concept of having a contract, but not always having service for the price they negotiate. The point they miss is that when they buy their commodities for the business they are guaranteeing price, total number of pieces and timing of each buy; wherein a freight contract they cannot guarantee quantity and timing of their buys, only general direction which therefore has contract rates on first come, first serve basis when the carrier has the capacity on the day the pick-up is requested. This is why we tell shippers that longer lead times on orders significantly improve service levels and cost because more of their freight will go contract versus spot, particularly in a capacity constrained market. If a company can guarantee the freight requirement every day and they have the backhaul to turn the equipment back into the origin market, then the concept of net getting guaranteed capacity at the contract rate because this will be a dedicated freight program and freight service provider’s dream. Since a dedicated opportunity is not the norm because a company’s freight capacity requirements are not consistent day-after-day and cannot be guaranteed, freight service providers have to hedge their bets where the next day’s freight will come from to ensure their assets are producing revenue to remain in business. Add to not knowing exactly where freight will be coming from, the freight they were expected to receive that would put them back in a particular market to fill its trucks is not always guaranteed, thus putting its network out of kilter with its contracted rates. The concept of a freight provider hedging its bets and not knowing if their freight network will stay in balanced is why shippers need to have a deep freight provider routing guide, with a couple of strong non-asset brokers and / or LSP’s to fill in the gaps for a given day. With the above hedging concept motor carrier use in mind, we recommend shippers increase their lead times where possible and have carrier friendly docks. Doing one or both is extremely helpful because a company’s competition for freight capacity is everyone that runs product in the lanes that you do, not just those you compete against in the retail market. To continue further on the topic, by extending lead times the tender is being given earlier than most other companies and this gives the freight provider a better opportunity to work the freight into their plans. A carrier friendly dock will improve a company’s chances to have its freight picked up over another company because motor carriers do prioritize its capacity on how fast their drivers turn at a given facility dock, how competitive a company’s rates are and how quickly a company pays. Are your freight lanes impacted by peak capacity demands during the year? Are you willing to take the risk on price fluctuations? Does the contract price include a capacity guarantee throughout the year, without a general rate increase (GRI)? There are several other questions to ask, but the above three are a good start and the answers are (1) yes, (2) probably not if the CFO has their way, and (3) maybe. Yes, is the answer on every lane for the first question. Add to it, capacity is also impacted by weather and other situations a freight provider cannot always predict that will throw a lane out of kilter and drive fluxuations in rates one direction or another. The reality is to optimize around a contract and spot freight market for price benefits alone require a shipper to break the law of supply and demand, which has not been done since it was first discussed by John Locke in 1691. 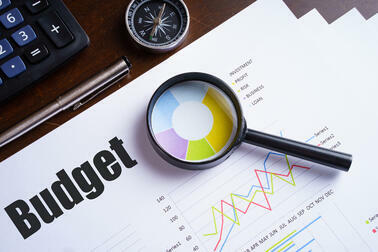 Pay close attention to various spot rate indexes provided earlier and position your RFP’s not as part of the budget cycle, but based on the freight cycle. 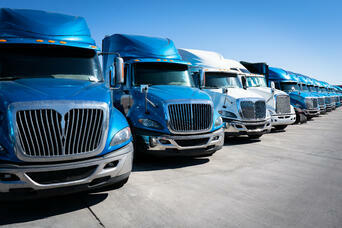 Consider moving your RFP to when the “regular freight cycle” is consistently at its lowest levels every year. The reason being is pricing departments tend to price what they know right in front of them. So, if freight is flying through the channels, the pricing is based on freight flying through the channels. As an example, don’t price your domestic intermodal freight in the 4th quarter. 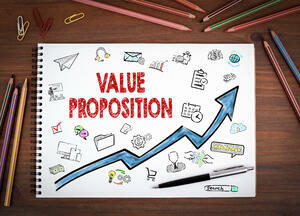 Wait until mid to late February to sometime in March for your RFP. We recommend to our customer to go out for their annual bid sometime in the first four months of the year. Keep in mind also that price is not the end all be all, which we were reminded through a blog from Seth Godin entitled 'Sort by Price is Lazy'. The article above spoke on the topic of price being the dominant method of online shopping. Price is a programmer's and RFP’s dream because price is a number that can easily be sorted. Alphabetical order is also an easy-sort method, but far less relevant for buyers, yet was the reason many companies used to name their companies starting with “AAA”, so they could move their way up in the phone book. The reality is buying based on price or alphabetical, is the best way to purchase a product or service. Ultimately buyers want a value purchase, but that is not easy to sort and either is an RFP, so companies need to do their homework. 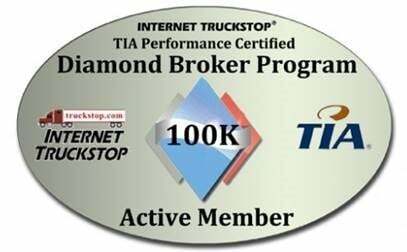 A suggestion we have is read through 10 Tips How to Select Best Freight Broker for Your Company. While this article is about selecting a freight broker, it works well with motor carrier and LSP selection too and here are some of the topics discussed that one should start with in their vetting process. Even with the above areas explored with each freight provider, you will still run multiple rounds freight RFP's sorted by price with pivot tables embedded within pivot tables that are then graphically displayed on dollars saved by round to share the story with their internal Purchasing and Finance Teams. 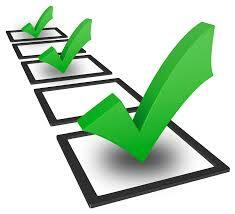 But, remember to lift your head up and consider the 10 areas outlined for vetting a freight provider. Another tip we have in the RFP process is to employ a LSP that has its hands and fingers in the logistics industry because they have the data to benchmark your actual lanes against what other companies are paying in the same lane. This ensures you are buying the best possible capacity at the best price versus negotiating with yourself by setting an arbitrary number of a 3% reduction on the next RFP. More on this topic can be found in the article entitled How to Negotiate & Manage a Competitive Freight Rate RFP. Last, but not least, as it relates to contract rates: Remember that not only do you want market competitive rates, but you’ll want to create a deep bench of carriers for your business so when one freight provider does not have the capacity on a given day that you have back-up providers at contract rates so to keep you out of the elevated spot rate market. You will not want to go to deep, as to not be able to provide enough volume to the freight service providers you award the business for or they will either leave you or ask for a rate increase to remain part of your routing guide. Both types of rates offer shippers a different value proposition, with contract providing the year long security of price and capacity, while spot is there to assist shippers when their contract carriers are not enough or there is a special need. 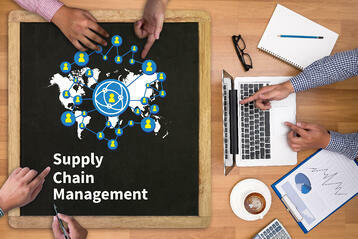 With all the above in mind, companies can do their best when they know to employ the different rate structures in their logistics and supply chains for their intended purpose. We’d love to be a part of the next conversation related to challenges your company may be having with contract and spot rates, so please keep us in mind the next time around whether it truckload, LTL, intermodal.